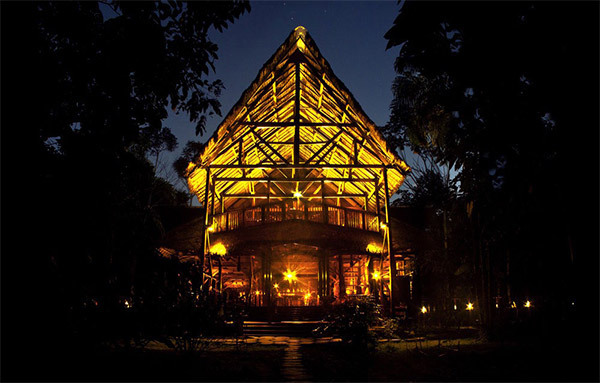 Refugio Amazonas Lodge offers eco-friendly accommodation in the Tambopata National Reserve. The property features a restaurant, and some rooms include WiFi access. Accommodations here are surrounded by nature. 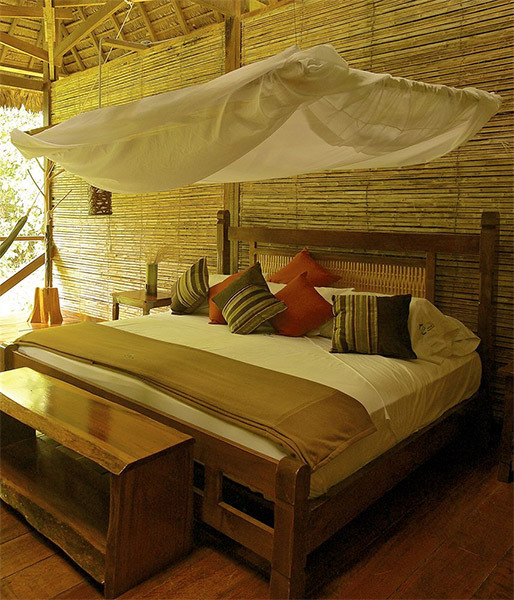 Each features a private bathroom and mosquito nets, and some of them have hammocks. Breakfast, lunch and dinner are included. 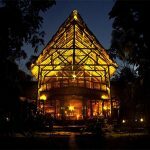 All rooms have electricity 3 times per day and guests are offered an eco-friendly toiletries kit upon arrival. 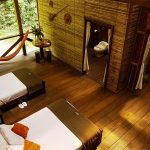 Claylicks – Take a boat trip to the Chuncho Clay Lick inside the Tambopata National Reserve to see macaws descend to eat clay lick on clear mornings. Discover a New Species – Join our resident and help him collect insects that will be genetically sequenced. Every month, a lucky guest discovers a new tiger-moth, scorpion-wasp, caddisfly or treehopper species that is new to science! Canopy Tower – Our 30-meter scaffolding canopy tower gives you spectacular views of the vast expanses of standing forest. 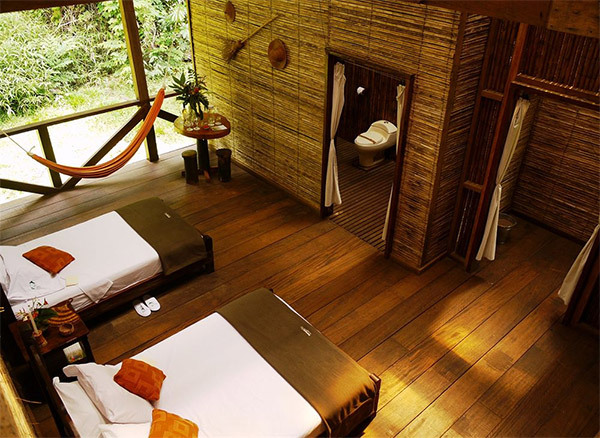 You will have good chances of spotting toucans, parrots, macaws or mixed species canopy flocks. Camera Trapping at a Mammal Clay Lick – Configure camera traps at a nearby mammal clay lick and download wildlife photos from the past few days to help scientists find out what is present at The Big Grid, our 288 kilometer trail system experiment. Life in the Rainforest – Visit a working jungle farm and a real Brazil nut concession to learn about the way of life in the rain forest. 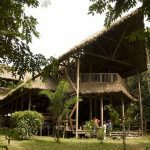 You will taste exotic tropical fruits and discover medicinal plants from the neighboring local families that we are helping integrate into the ecotourism industry. Lake – We will paddle around the Lake Condenado on a catamaran, looking for wildlife such a hoatzin, caiman or horned screamers. 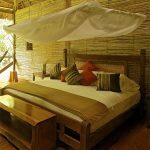 Natural Construction Rooms – Bedrooms open out onto the surrounding rainforest, allowing you to enjoy this diverse ecosystem even during downtime, with wild animals, including monkeys, often visible from the lodge. 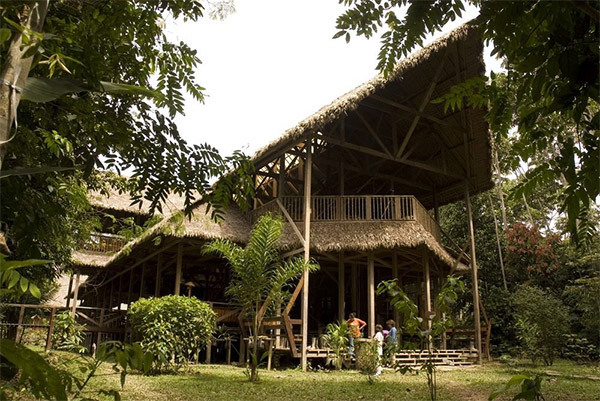 The dining room is a huge open building with a loft on the second story for an eye level view of the surrounding rainforest canopy. Adventure in Nature – Kayak and Stand-Up Paddle on the Tambopata River and rappel to a Canopy Platform. Wired Amazon Science Lab – You will be able to hang out with resident biologists as they peer through a stereoscope to properly identify insect specimens before mounting them and sending them off to the University of Guelph for genetic sequencing.